Iran’s President Hassan Rouhani underlined his country’s determination to continue efforts to establish regional stability and have constructive interaction with the world. 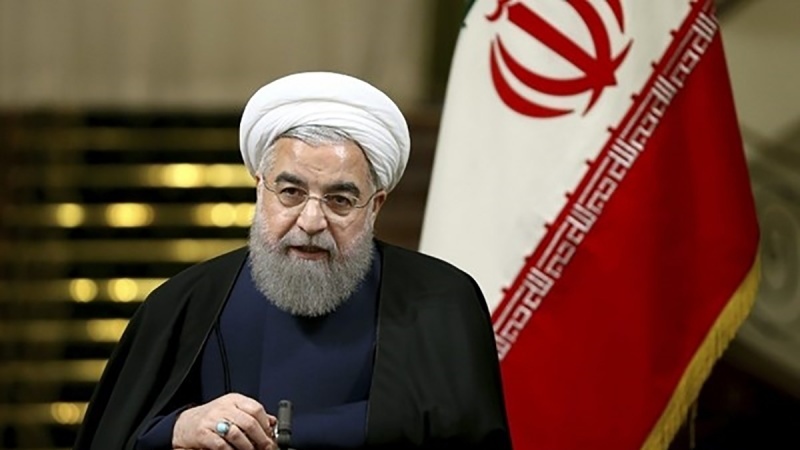 President Rouhani said that the US and its allies are not able to prevent Tehran from meeting its national interests. “We will continue efforts to establish stability in the region as an important goal and we hope to gain good success in establishing stability and security in the region and also in our relations with the world next (Iranian) year (to start on March 21),” Rouhani told reporters in Tehran on Sunday after a cabinet meeting. “We will have a constructive interaction with the world even irrespective of what the US, ill-wishers and a number of little regional states want or don’t want, but we will not make any concessions on our national interests under any circumstances and we will safeguard our national interests, national security and national expedience,” he added. In relevant remarks earlier, Iranian First Vice-President Eshaq Jahangiri played down the threats of the US and its allies to restore the sanctions against Tehran, stressing that the Islamic Republic has devised special plans to counter such pressures.